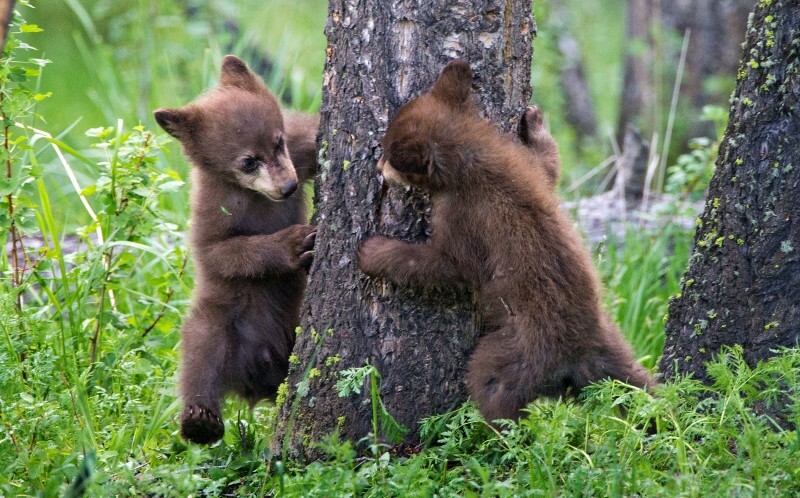 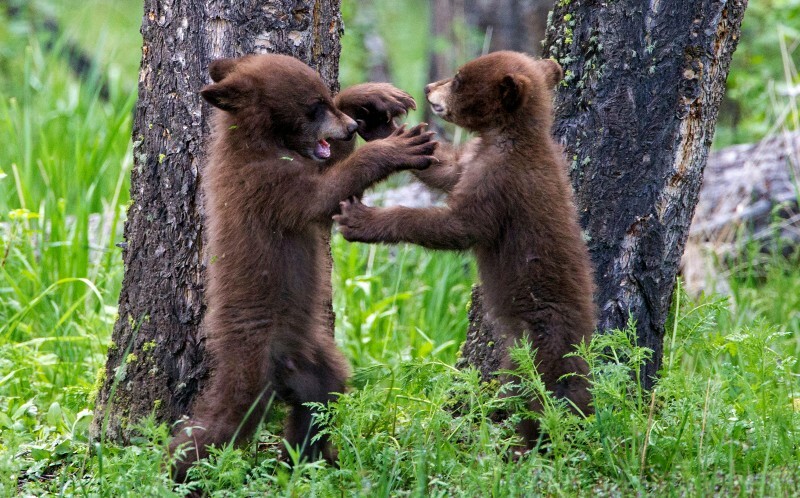 The sweet little cubs jump out at each other from behind a tree, pulling faces as they try to make each other jump. The cheeky cubs are double trouble, pulling a series of hilarious faces as they play together in the park. 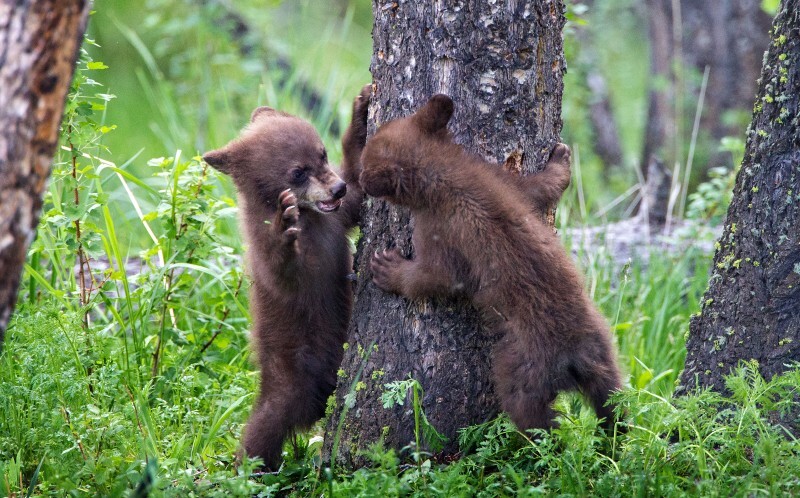 The young bears soon tire themselves out, before settling down for a cuddle with mum. The super-cute snaps, taken by photographer Max Waugh, from Seattle, were taken at Yellowstone National Park in Wyoming. 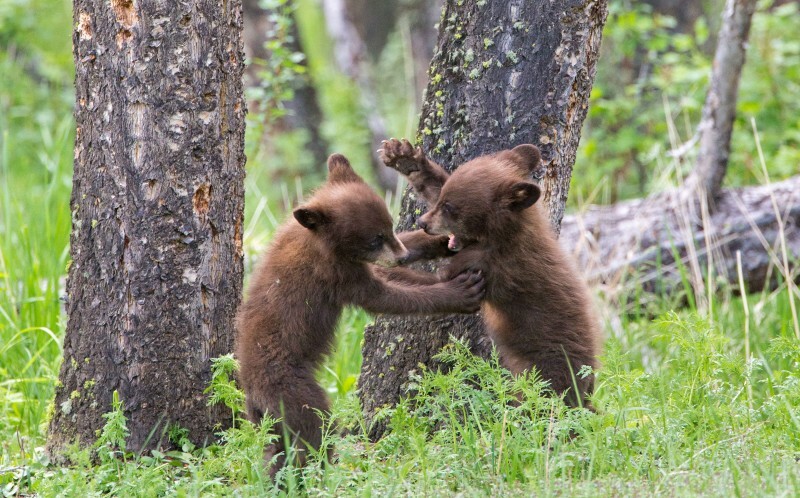 Max, 39, said: “This was a particularly good year for black bear cubs in the park. “The bears were such an energetic and playful pair of cute cubs – and pretty well behaved! 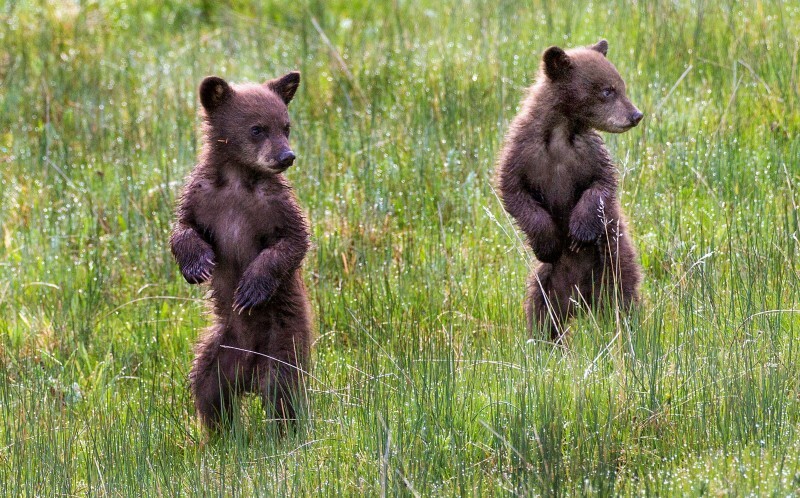 “I enjoyed the ‘access’ given to us by the mum – she seemed to be pretty tolerant of onlookers and crowds that occasionally form in the park. 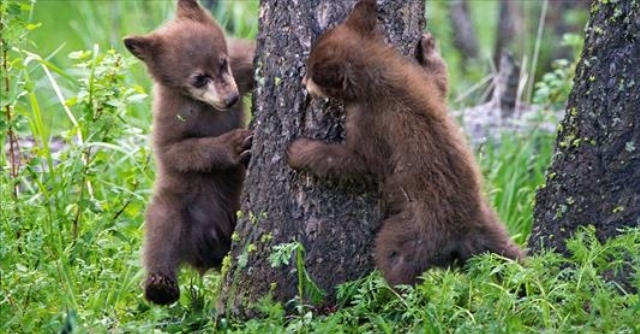 “This mother was pretty laid back and willing to let the crowds get a good view of her adorable off-spring. Responses to "Adorable snaps of bear cubs playing peek-a-boo will melt your heart"
Where is it that they are allowing the shooting of mother and cubs while sleeping in the den?